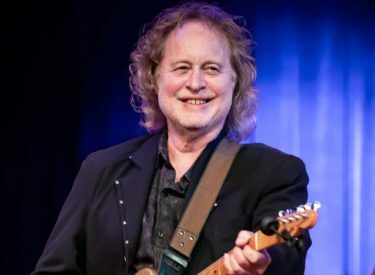 Steve Ripley, leader of the country-rock band The Tractors, died peacefully at his home Thursday, Jan. 3, in Pawnee, Oklahoma, at the age of 69, surrounded by his family. He had been suffering from cancer. In addition to his work as a recording artist, Ripley was a songwriter, producer, engineer, studio owner, radio host and inventor of the “stereo guitar” favored by such fellow musicians as Eddie Van Halen, Ry Cooder and Dweezil Zappa. Owner of The Church Studio in Tulsa for 19 years, Ripley additionally distinguished himself by playing guitar with Bob Dylan and producing and/or engineering projects for Leon Russell, J.J. Cale, Roy Clark, Johnnie Lee Wills, and many others. Born Paul Steven Ripley on Jan. 1, 1950, during his parents’ brief residency in Idaho, Ripley grew up on the family’s Oklahoma Land Run homestead in Pawnee County. On his radio show, he recalled his earliest musical memory came when he was 3 years old while listening to his dad enthusiastically singing along to Bob Wills’ “Roly Poly” in the family car. He said his “most impactful” musical memory was hearing Elvis Presley’s “Heartbreak Hotel” blasting from his Aunt Babe’s radio when he was 6. Ripley played in bands from junior high through college and continued to work nearly full-time as a musician while attending Oklahoma State University, where he earned a degree in communications. He discovered his love for recording in the 1960s, recording in Gene Sullivan’s Hi Fi Studio in Oklahoma City, the same venue where Tulsans J.J. Cale, Leon Russell, and David Gates made some of their first recordings. He opened his first studio, Stillwater Sound, in the early 1970s. His lifelong interest in modern musicology was highlighted by his radio series, Oklahoma Rock & Roll, which explored Oklahoma’s vast contributions to music and American pop culture; and most recently, his successful efforts to rescue and preserve the musical archives of his friend and mentor, Leon Russell. The first LP in his discography was named for his band, Moses. The name the band chose for their record label, Red Dirt Records, places Ripley at the birth of the Oklahoma strand of music that would one day be called Americana. Given his role in the origin story and his legendary support for regional musicians in the genre through the years, Ripley has long been regarded as one of the patriarchs of “Red Dirt” music, and is an inductee into the Oklahoma Red Dirt Hall of Fame. In April of 1976, Ripley married Charlene Grant, whom he met at his Stillwater recording studio when her school band was recording there. She became his constant companion from that time onward. In 2017, Ripley was given the opportunity to re-visit two of the great passions of his life—his role as a band leader and his love of all things Bob Dylan, when he was asked by the George Kaiser Family Foundation to create a live musical event celebrating the arrival of the Bob Dylan archives, which were acquired and relocated to Tulsa and are soon to be housed in the Bob Dylan Center. “On A Night Like This” was a one-night-only musical revue and saw Ripley leading what he dubbed “The House Band Approximately.” It featured a bevy of too-many-to-name legends of Oklahoma music, many of the new generation of Oklahoma voices and talent, and even the powerhouse vocal stylings of the McCrary Sisters, featuring Regina McCrary, a tourmate of Ripley’s from the Bob Dylan days. The concert, which would be his final live performance, was a tour-de-force of a wide range of the Bob Dylan catalog. Steve is survived by his wife Charlene, his children, son Elvis Ripley and girlfriend Paige Turlington, daughter Angelene Ripley Wright, son-in-law Jonny Wright, grandson Mickey Wilder Ripley Wright, and brothers Scott Ripley and Bobby Ripley and their families.